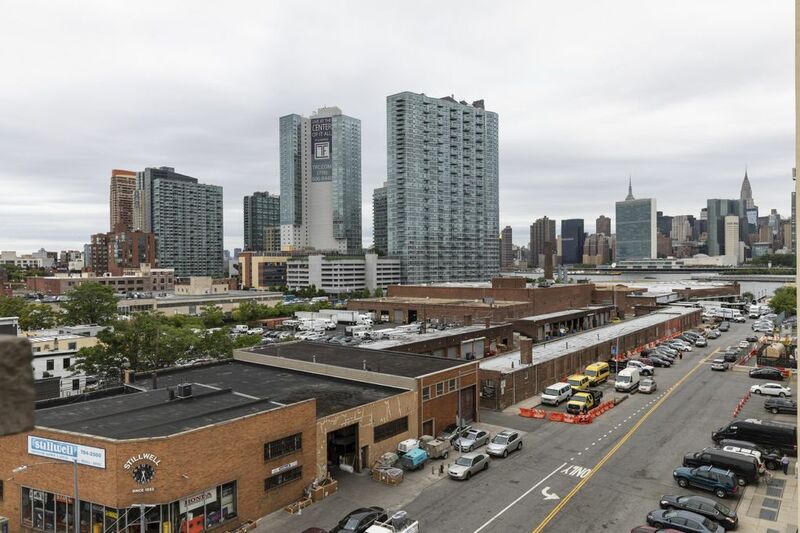 Amazon’s reported selection of the New York City borough of Queens and the Arlington, Va., community of Crystal City, for its expanded headquarters project, would end a 14-month search that focused the attention of the nation on the Seattle retailer's plans. 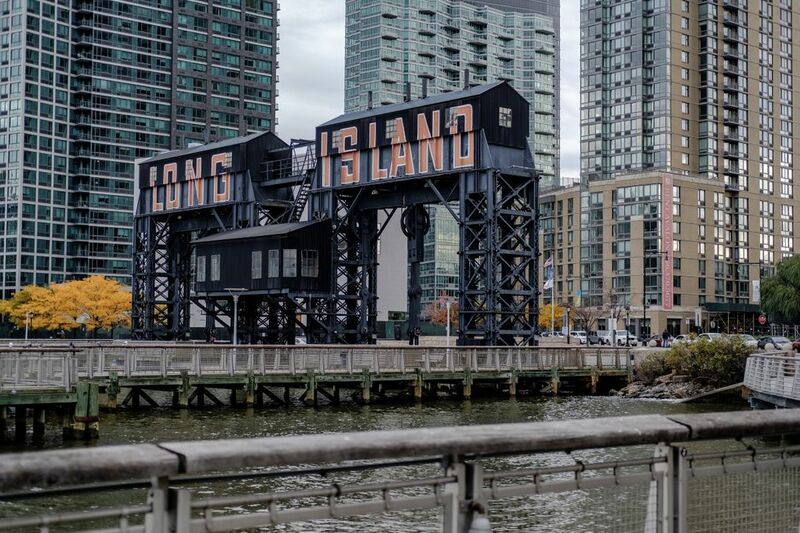 Amazon has decided to make its second homes along the East Coast, according to reports late Monday. The Wall Street Journal and Washington Post reported late Monday, reiterating earlier speculation, that Amazon has decided to kick off the next phase of its growth — originally pitched to bidders as a single, second headquarters campus — in the Arlington County, Virginia, neighborhood of Crystal City, and the New York City borough of Queens. The decision, which the newspapers reported could come as early as Tuesday morning, would end a 14-month search that began with an early morning news release announcing Amazon’s intent to build a second, “equal” headquarters in a city somewhere in North America. An Amazon spokesman didn’t immediately comment. 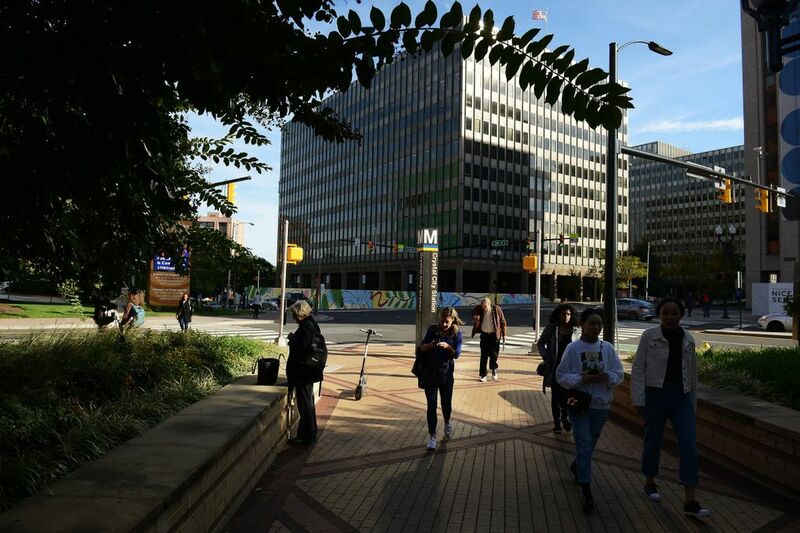 The company’s wish list for what it called HQ2 included proximity to a major airport, mass transit, a pool of highly educated employees, and room for up to 8 million square feet of office space. 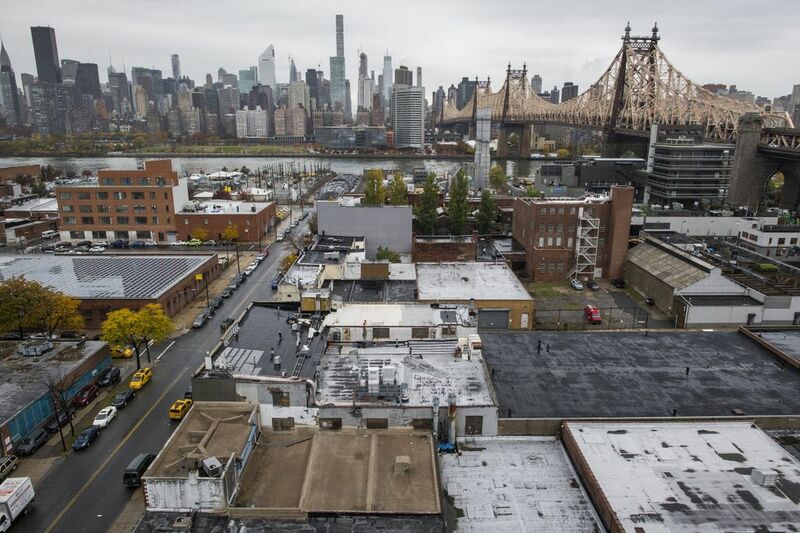 The search set off a frenzy, as municipalities and states clamored to get Amazon’s attention, some offering billions of dollars in incentives. As it dragged on, the search also sparked debates about corporate power, urban development, and the use of tax breaks and other government inducements to lure corporations promising jobs. Still, 238 locations in the U.S., Mexico and Canada applied by Amazon’s relatively quick six-week deadline in October 2017. Amazon’s committee of executives winnowed the field to 20 finalists in January. At some point this fall the company changed course, opting to split its growth among two cities instead of one, two people familiar with Amazon’s selection process say. That news, and Amazon’s decision to narrow its focus to New York and the Washington, D.C., area, leaked last week. The Journal reported Amazon would split HQ2 between two campuses of 25,000 employees each, an effort to broaden its appeal to talented hires. At the core of Amazon’s search, the company said, was its desire to attract skilled recruits in the range of industries the conglomerate is active in, from cloud-computing software developers and networking engineers to logistics managers and builders of robots. To some observers, the decision to expand in the nation’s capital and its most populous city was anticlimactic — a company from a trendy West Coast city selecting two affluent metropolises with comparably well educated workforces. Less charitably, some saw it as a bait-and-switch that strung along civic leaders, particularly in communities away from the coasts, and convinced them they had a shot at the economic development prize of the generation. 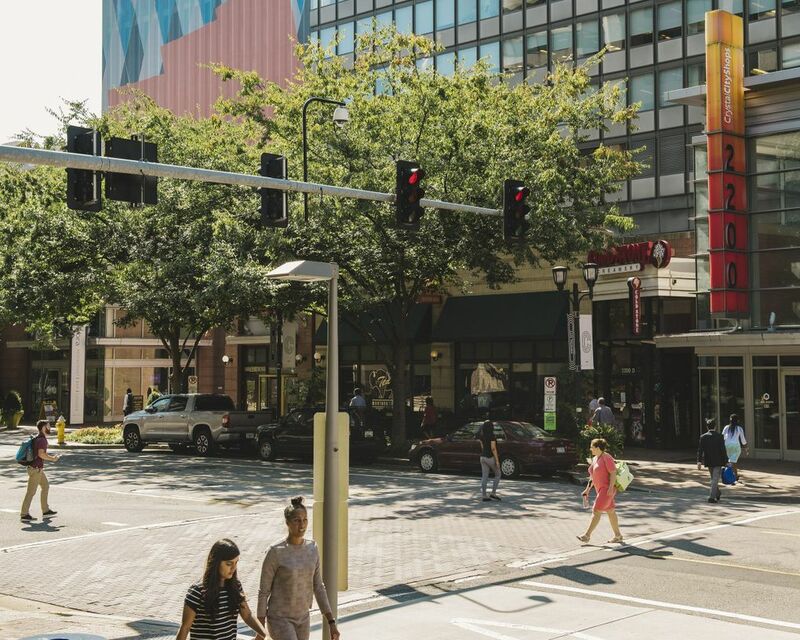 That Amazon was looking for a second home at all had stunned Seattle, the company’s home since a year after its founding and a city that has been reshaped by Amazon’s prodigious hiring and office development in the South Lake Union and Denny Triangle neighborhoods. 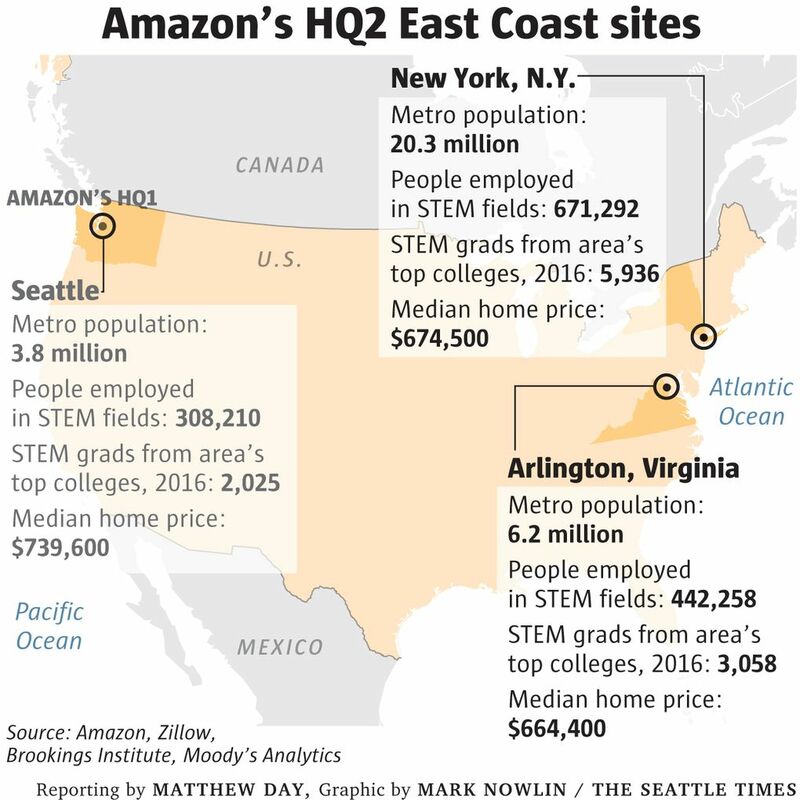 Amazon spokespeople have been reluctant to publicly address the implications of HQ2 for the company’s Seattle headquarters, currently home to more than 45,000 employees. The company has reassured employees through postings on an internal network that their jobs would not be moving, but communications about the project have been few and far between. In the near term, the company will likely continue to grow in Seattle. Amazon has in place construction projects and lease plans that give it space for about 55,000 employees when the current crop of projects is completed by the end of 2020. After that, observers of the company expect hiring to accelerate on the Eastern Seaboard.